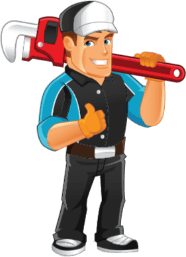 Do You Need a Melbourne Gas Plumber? At Inner City Plumbing we are licensed gas fitters and plumbers. With the latest equipment we are able to detect gas leaks efficiently limiting the risk of danger and the cost of labour for our customers. Did you know that you could have a gas leak, but not even be aware of it? Gas leaks are known to be very dangerous and can lead to serious damage. That is why it is imperative that a leak is caught early by a gas plumber Melbourne. Detecting a gas leak is not difficult when you have the knowledge. If you can smell something similar to rotten eggs, that is a sign. A more sure fire way of checking if there is any leaking gas is to look at the meter to see if it is still ticking over. Gas Plumber Melbourne. I Smell Gas! If you smell gas, and you are sure that you have a leak somewhere, then call Inner City Plumbing on 1300 688 834 immediately. Knowing that there is no time to lose, we will rush out to you urgently. Only a trained expert gas plumber Melbourne is able to handle the repair work or stop the leak. These dangers are well known, and this is why we only employ the very best plumbers in the business. Safety and speed is important. We are able to move fast no matter how critical the emergency is because we are open 24/7. Inner City Plumbing are trained and certified experts in the installation of new gas units. Our Melbourne plumbers fit gas units in existing or new homes. Using the required tools and skills, we can install your equipment in a manner that is both safe and secure. No matter the issue, you can call us to fit new lines or replace existing lines. Disruption is something we will do our best to manage and avoid where possible. So give us a call to get a free no obligation quote on your gas hot water or heating unit. Hot water is the lifeblood of any home. If you are experiencing a problem with your hot water system or heating unit then call us as soon as possible for a quote on 1300 688 834. All of our Melbourne plumbers have extensive experience in repair and maintenance work and new installations. Gas storage water systems and gas instantaneous hot water services, are two types of systems that we work with on a regular basis. We also stock all the major brands such as, Aquamax, Dux, Rheem, Bosch, Vulcan and Rinnai. DON’T ATTEMPT TO REPAIR OR INSTALL GAS APPLIANCES YOURSELF – LEAVE IT TO THE PROFESSIONALS. DON’T LEAVE INFLAMMABLE MATERIALS NEAR GAS APPLIANCES OR BURNERS. ONLY USE APPLIANCES FOR THE PURPOSE THEY WERE DESIGNED FOR. 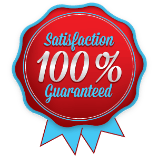 Gas Plumber Melbourne	Overall rating:	4.6	out of 5 based on 117	reviews.